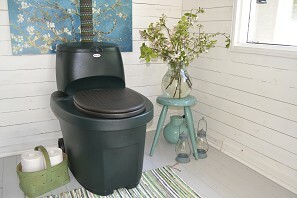 Biolan Komplet Composting toilet is ideal for low use applications in farms, gardens and other outdoor applications where there is no electricity. 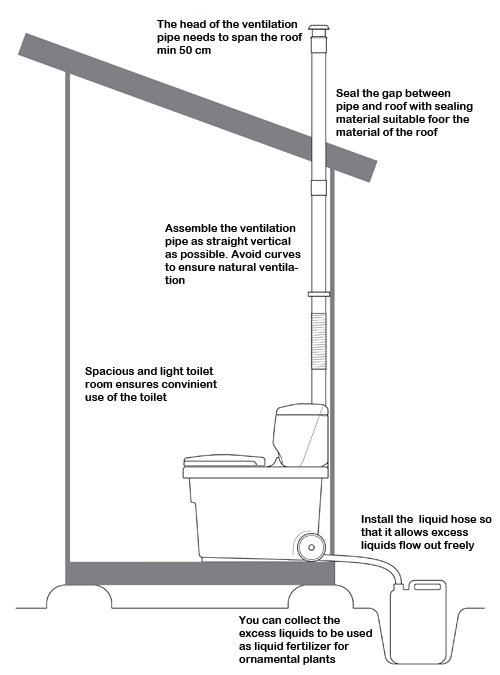 The Biolan Komplet composting toilet is self vented by the 75mm diameter vent that needs to go straight up through the roof to beyond the pitch of the roof. 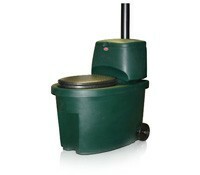 This Biolan Komplet has one main container for both urine and solids and so it is an internal composting toilet. Excess liquids seep through the compost pile and exit through the seep liquid hose at the rear. This liquid is either contained, treated with the Soutis unit or allowed to soak into the soil if permissions allow. To empty the Komplet you roll it outside on it’s wheels and tip it over. This job is nicer to do if there is no fresh waste in the toilet at that time. For this reason the Biolan Komplet is ideal for seasonal use.